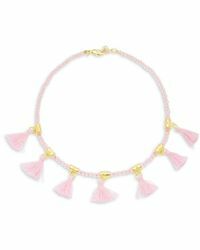 Based in LA, Elise M is a young, directional jewellery and accessories brand by the Moroccan-born designer Miryam Abitbol. 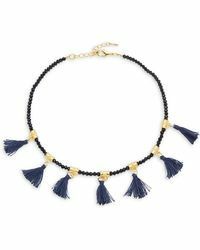 Named after and inspired by her late mother's obsession with accessories, she creates a striking range of bohemian jewellery that mixes sparkle, elaborate motifs and clean, minimalist shapes. 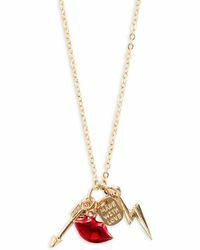 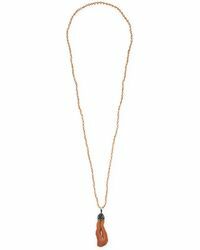 Elise M necklaces perfectly capture the spirit of the collection. 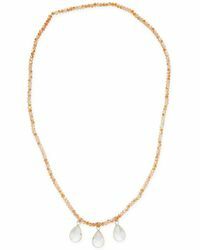 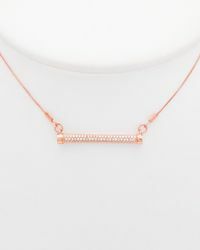 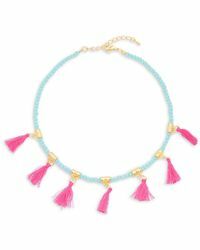 You'll find everything from delicate glittering pendants to multi-strand chains and intricate fringed chokers 'bringing a cool, adventurous feel to each line of Elise M necklaces.